Several years ago, my older sister sent me an email that said, “Run, do not walk, to get this book and read it!”. 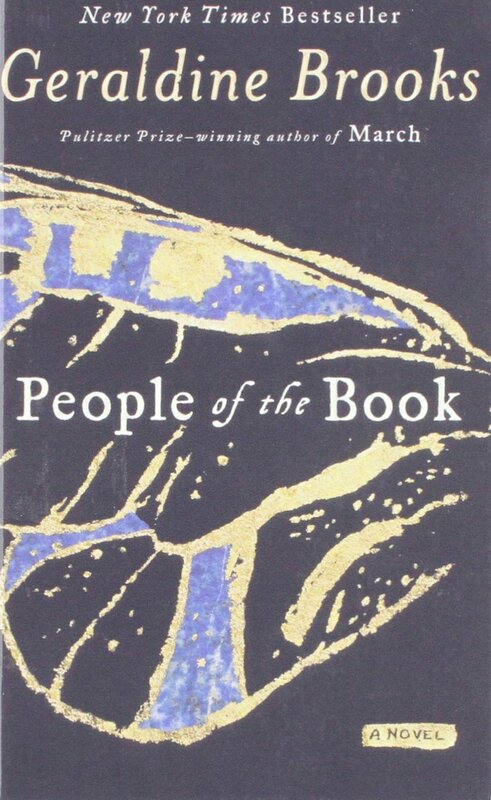 It was PEOPLE OF THE BOOK by Geraldine Brooks. I got it from the library and read about the first 30 pages and thought “Snoozefest”. I could not get into it. I was puzzled because honestly whenever either of my sisters tell me they love a book I almost always love it, too. This is an EXCELLENT book. I can only imagine I was highly distracted when I tried to read it before (that happens to me. Life gets in the way). Me again — I was fascinated with this book — the characters, the mystery, the history, the story. The writing, as with all of Brooks’ novels, was well-crafted. The audiobook version had 12 CD’s and was aptly narrated by Edwina Wren (who does a great job with accents! ).